Linda Redford is an international speaker, author, and Founder and President of Honor Kids International (HKI). HKI is a non-profit organization with the mission to restore honor, respect, and value to children across the globe. With over 30 years of experience in Psycho-Spiritual Family Counseling, suicide prevention, and program development, HKI wishes to join others who share the common desire to heal society’s most preventable tragedy: child abuse. 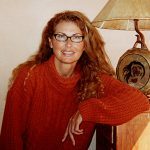 Linda’s approach embodies the works of several noted entities in the field of human development, psychological sciences, and indigenous healing practices. She studied with Venerable Dyhani Ywahoo, indigenous Cherokee teacher and founder of the Sunray Meditation Society & Peace Village; completed five years of inner child healing under Father John Alexis Viereck of the Interfaith Council of the United Nations; studied with Peter Levine during the development of his groundbreaking work on trauma; and adopted Italian psychologist, Dr. Roberto Assagioli’s, Transpersonal Psychology, and Ray Castinello’s Prenatal Psychology. Today, Redford is an Ordained Minister and Psycho-Spiritual Family Counselor, specializing in healing addictions and family discordance. Linda has created a healthy practice for people to recognize and own their uniqueness through honoring the existence of all things. To honor something or someone changes the way one sees, thinks, feels, relates, and interacts with that entity. When someone or something is honored, its significance is recognized. Through the eyes of honor, the ordinary becomes extraordinary; a language and culture of peace is thus created. This new awareness is the foundation for the Honor Project (HP), which is a program that re-educates and heals individuals, families, and communities through school- and community-based initiatives. The HP embarks upon positive social transformation by connecting children, parents, educators and community leaders developing a language and culture of Peace. 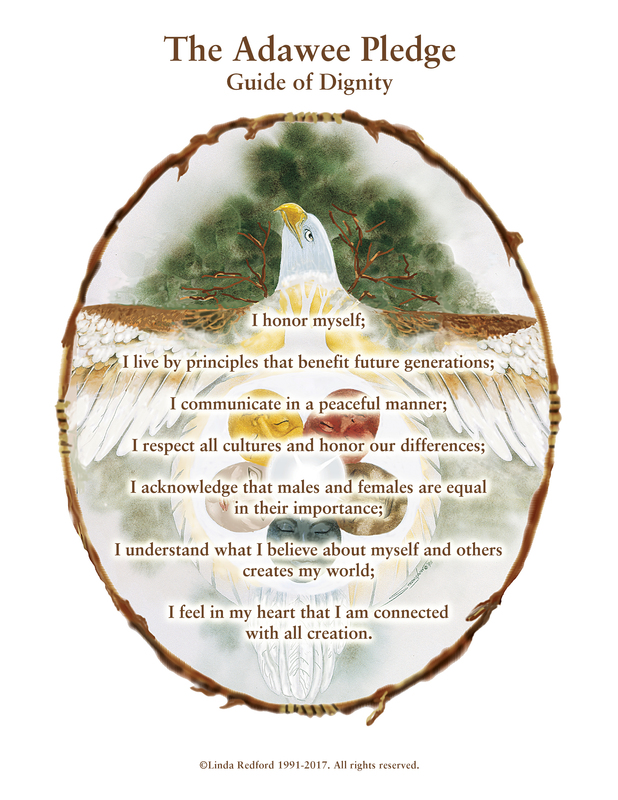 • THE ADAWEE PLEDGE (Guide of Dignity) is an 8 1/2" x 11" suitable-for-framing image with The Adawee Pledge. Download the file, print it from your printer and frame it in a standard 8 1/2" x 11" frame to be used for your daily affirmations. Copyright © 2019 Linda Redford. All rights reserved.